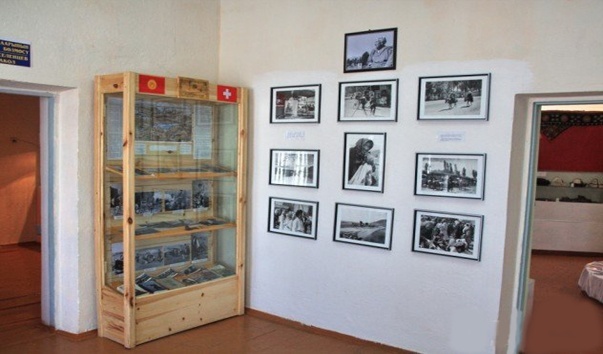 Karakol historical museum is located in Karakol town, Issyk-Kul region. The museum building was built in 1887, but it was founded in November 1, 1948. The date of its foundation is connected with the death of N.M. Przewalski, as that time the city was named in honor of the Great Russian traveler and explorer. The total area of the museum is 311 sq. meters. The exposition of the museum is very interesting, it reflects the history of the development of culture, education, industry, agriculture of Karakol region, as well as its natural wealth. The museum has exhibits of the Stone Age, as well as fragments of rock paintings, Bronze Age’s tools, women's jewelry, musical instruments and much more. Having visited Karakol historical museum, you will learn many interesting about the lifestyle of nomadic and semi-nomadic tribes. By 2000 the collection of the museum fund was more than 10 thousand exhibits. The museum annually is visited by 10 thousand people.